The Museum is open during normal business hours Monday to Friday and weekends by request. Guelph is located 40 minutes West of Toronto or 3 hours East of Detroit. 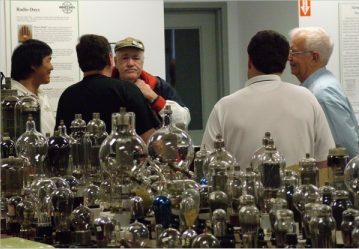 On October 22nd, 2011, the Museum welcomed employees of Hammond Power Solutions (Walkerton Plant). 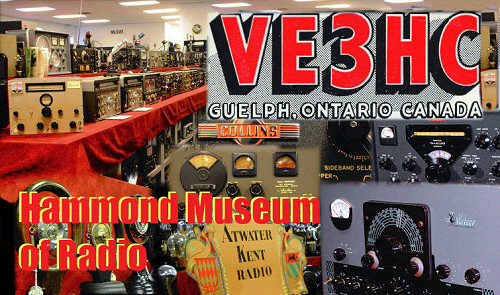 Arriving by bus, they toured the HPS Distribution Center, Guelph Plant and the Hammond Museum of Radio. 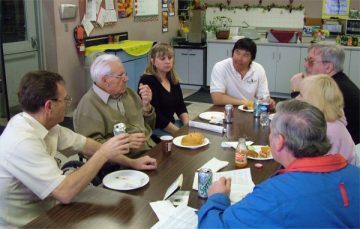 During lunch, the Curator, Noreen Hann and volunteers John Hann and Larry Asp enjoyed meeting and talking with the employees. 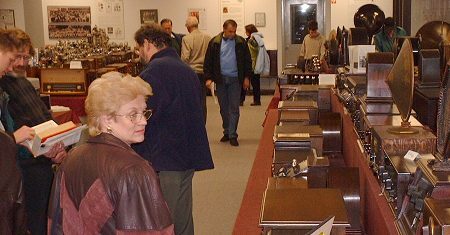 Under the leadership of Ken Coughlin K8KC, approximately 25 members of the Utica Shelby Emergency Communications Association (USECA) and the CCA (Collins Collector Association) from the Detroit area visited the Museum on March 27, 2004. 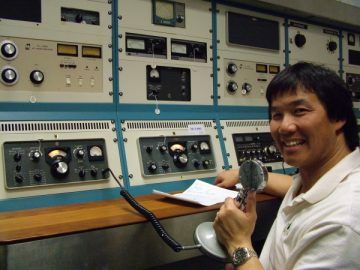 CCA President Floyd Soo W8RO ran the CCA Net from the VE3HC Memorial Station at the Museum using the Collins S-line. CCA President Floyd W8RO (l) with some CCA & USECA members visit in the tube collection area of the Hammond Museum. On behalf of the Utica Shelby Emergency Communications Association (USECA) and the Collins Collectors Association (CCA), we'd like to THANK YOU BOTH and Lloyd, John, Ken and Rob for the Red Carpet treatment that we all got from all of you! Please pass along our thanks to all the volunteers and to the Hammond's for taking the time out of their weekend to make us feel like family! All of us will be talking for months about this trip and we are sure that more of the club members (from both clubs) will be interested in visiting soon! Words cannot describe what we all chattered about after we left the museum yesterday! 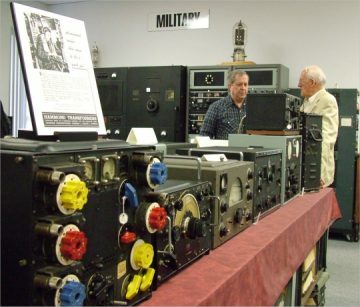 Everyone expected to be blown away by the collection of radio equipment, what everyone was NOT expecting was the fabulous hospitality that all of you demonstrated to us! All we can say is THANK YOU in the warmest, most sincere manner that we can!